An exquisite angel surmounts an egg and dart rimmed bowl, as heavenly figurines stand guard below. 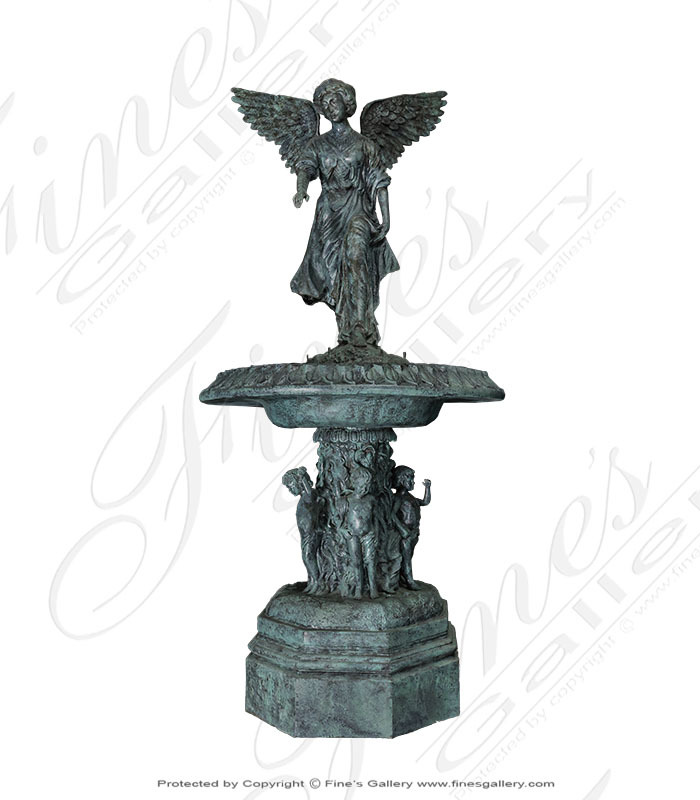 Malachite Green Patina brings a time worn look to this incredibly detailed bronze angel fountain. Contact us by phone or email for personal assistance. Yes I would like more information on BF-121.